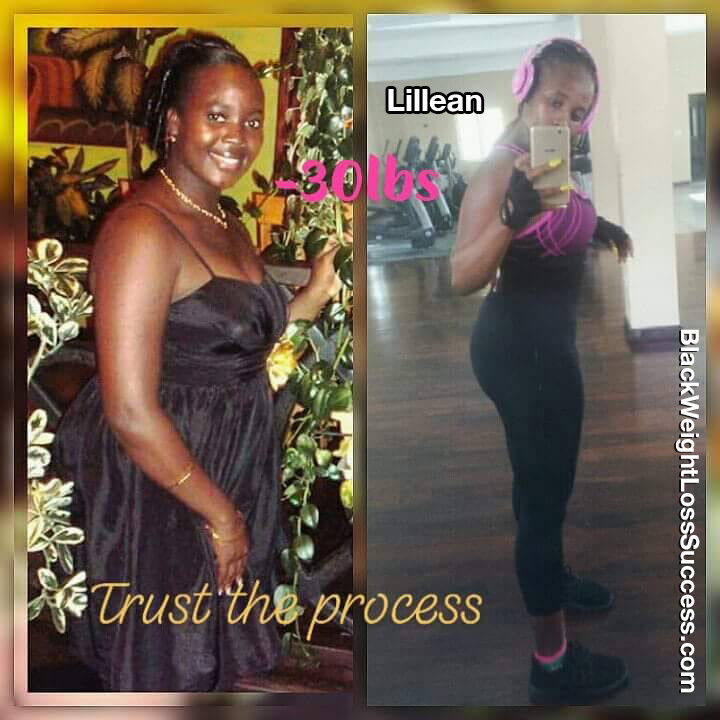 Transformation of the Day: Lillean lost 41 pounds. Our sista from St. Lucia’s wake up call came when just sitting on the couch became uncomfortable. 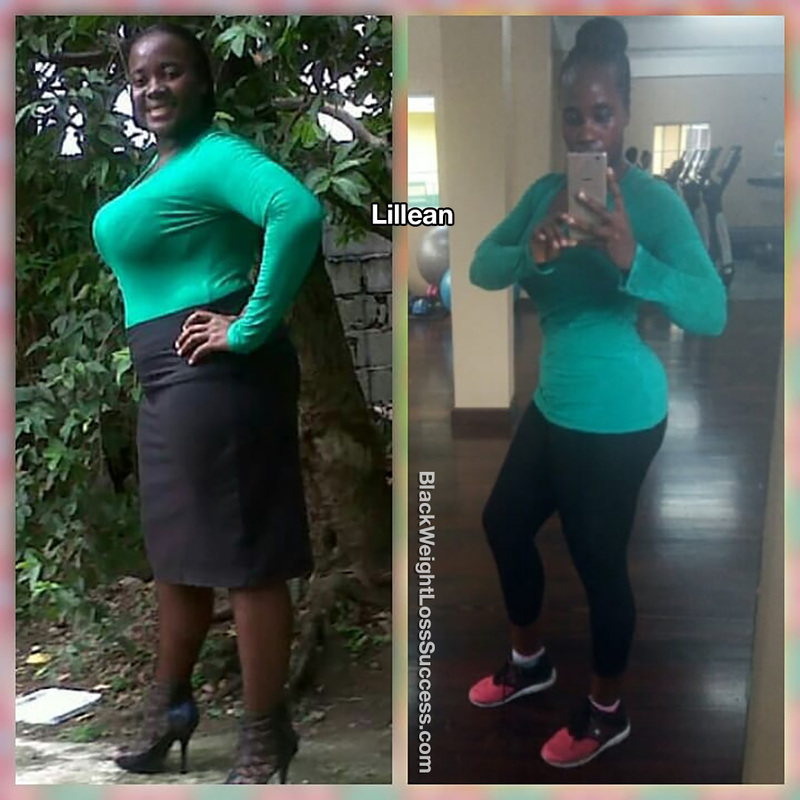 Cutting out dairy and white flour helped her release the weight. She also worked out six days a week and became a fitness instructor. Check out her journey. I am from the beautiful island of St. Lucia located in the Caribbean. I am the last of 15 siblings, five of whom are females who are all overweight. I began gaining weight after the birth of my daughter. I was 205 pounds on a 5’5″ frame. I didn’t realize how big I had gotten until one night I sat on my couch, and I couldn’t breathe properly. I felt like my stomach was pushing up into my throat. Right then and there, I knew I had to do something if I wanted to live to see my daughter grow. My journey began in January 2013. I started by walking for about 15 minutes a day. I changed my eating habits, drank more water and started to see progress. Fast forward to 2017. I injured my knee after losing 48 pounds. I was only 2 lbs away from my goal weight. I struggled for about one year after my injury and gained 27 of those pounds back. I felt like just giving up, but I didn’t. I restarted my journey in 2018. I continued and pushed, even on days when my mind would tell me, “Your knee hurts.” Now, I’ve lost 20 out of the 27 pounds that I gained, and I will continue striving until I am back where I once was. Tell us more about how you changed your eating habits? I gave up drinking whole milk, but I would still eat dairy products from time to time. (Cheese, yogurt, etc.) I switched to skim milk. Later on, I started drinking almond milk after doing some research. I gave up anything made with white flour, like bread, cakes, pastries, pasta, etc. I would eat eggs, oatmeal, smoothies, salads, baked or steamed fish, homemade veggie and chicken soup, etc. My advice is “GO!” Just go and keep going! You may slow down, and you may have to take some turns and bends along the way but keep going. Slow progress is better than no progress.